Strawberry picking is over in our area, but that doesn’t mean all the work is done. Now’s the time to get your strawberry patch in shape for a big harvest next year. 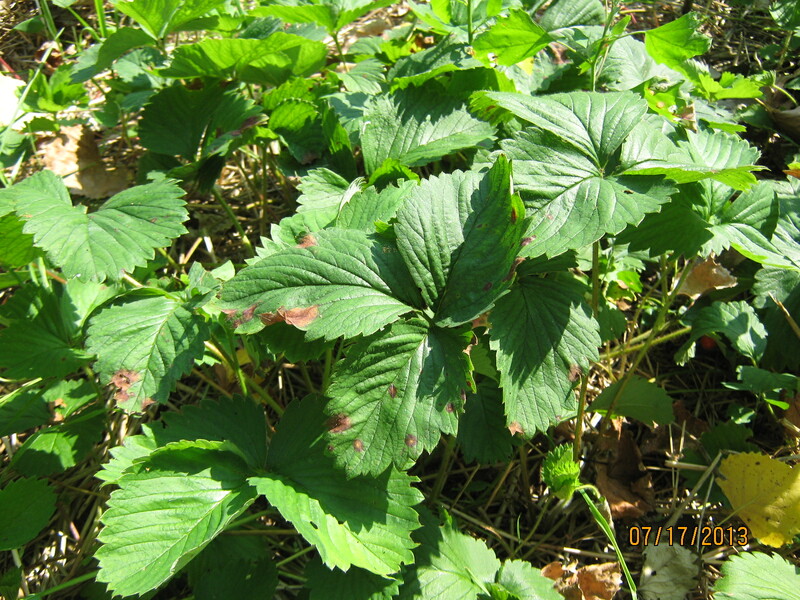 Strawberry plants if left on their own will produce good yields and quality fruit for two years or so. With your help, they’ll stay strong for four or five years. It may seem illogical, but mowing strawberries right after picking is the best thing you can do for them. Mowing removes diseased leaves and reduces harmful insect populations. Mowing is best done right after harvesting, before too many new leaves begin to grow. This means in extreme southern Michigan, it must be finished soon, more northern areas have some time yet. Use a lawn-mower and set it so that the cutting height is about one and one-half inches above the crown, then go at it. Rake out the clippings and dispose of them, then sprinkle a light application of garden fertilizer. Since strawberry plants produce more berries on the edges of a row, reduce the width of the row to somewhere around 12 to 18 inches. A rototiller works great, but you can hoe them out if necessary. For best results, finish mowing your strawberries very soon. Through the rest of the season, water the plants during dry periods. And, just like the rest of the garden, weed the area when needed. Later you can add mulch, but that is a topic for another time. 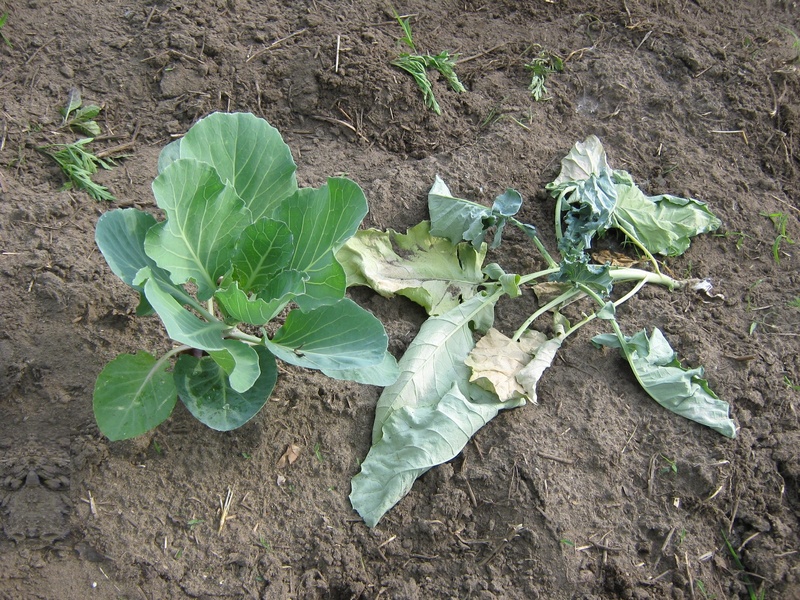 Cabbage root maggots thrive in a cool, wet soil environment. Our rainy growing season has provided ideal living conditions for this pest which is why you may be more likely to see them in your garden this year. Warm dry weather reduces the maggot population. These are a couple of heirloom trees I planted about ten years ago. I couldn’t find my planting notes on time for this blog, but I think they’re a variety called “Early Harvest”. 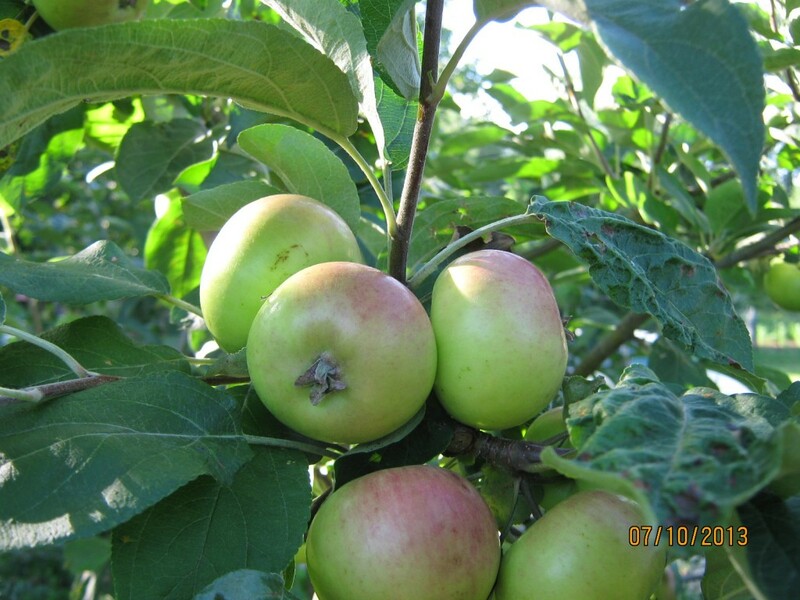 The apples are about 2- 1/2 to 3- 1/2 inches in diameter. They develop a red blush as the start to ripen. My grandmother Rose – a Polish immigrant -was an excellent gardener, she had a summer apple tree in her garden. I remember my brother and I climbing that tree to find the very best apple to pick. My trees are dwarf, which means they don’t take up much space. One tree grows in a circle seven feet in diameter while the other is a bit more vigorous and has a nine foot diameter and have them planted about 12 feet apart. I keep them pruned to a height of eight feet, which means I don’t need a ladder to pick.